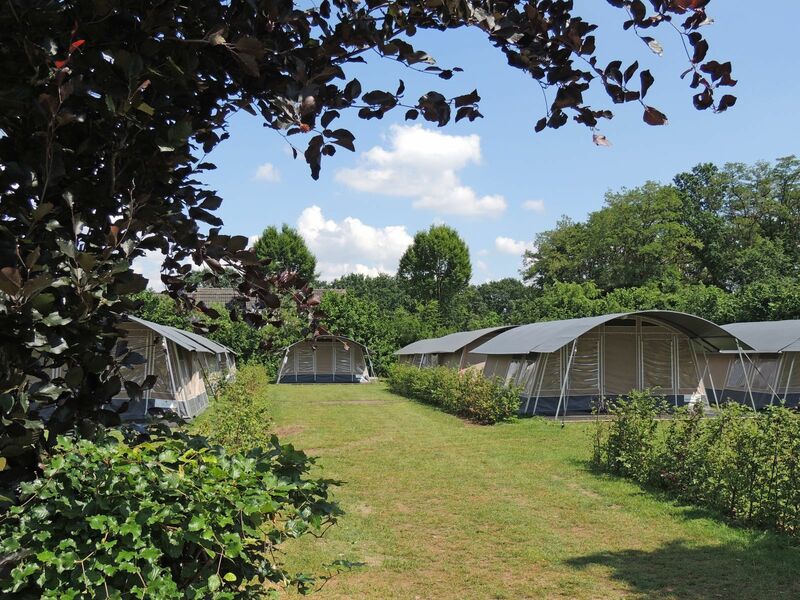 Are you looking for a nice accommodation to stay during your luxurious camping holiday? 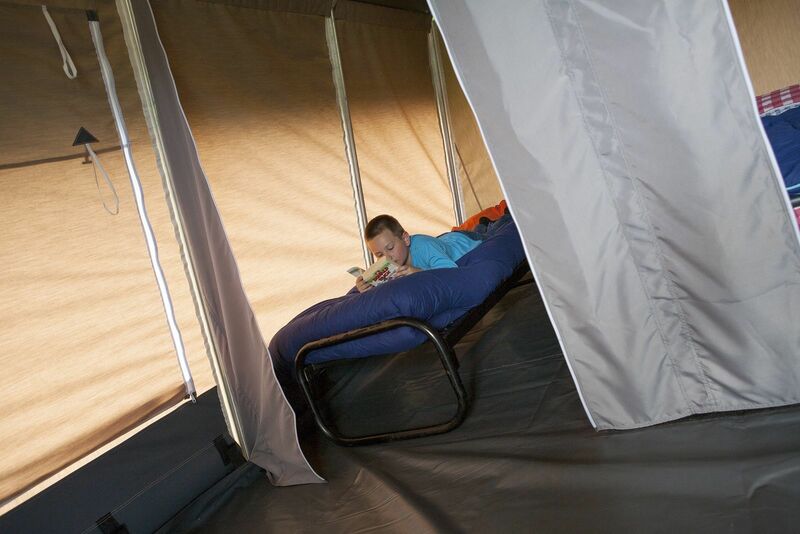 Then choose our Lodge tent: a furnished tent for 4 people! 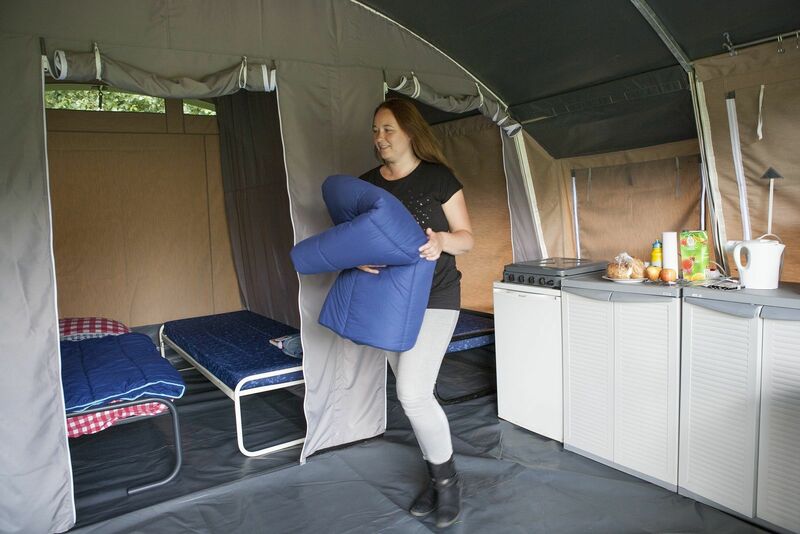 It's nice, it's camping, but with more luxury. 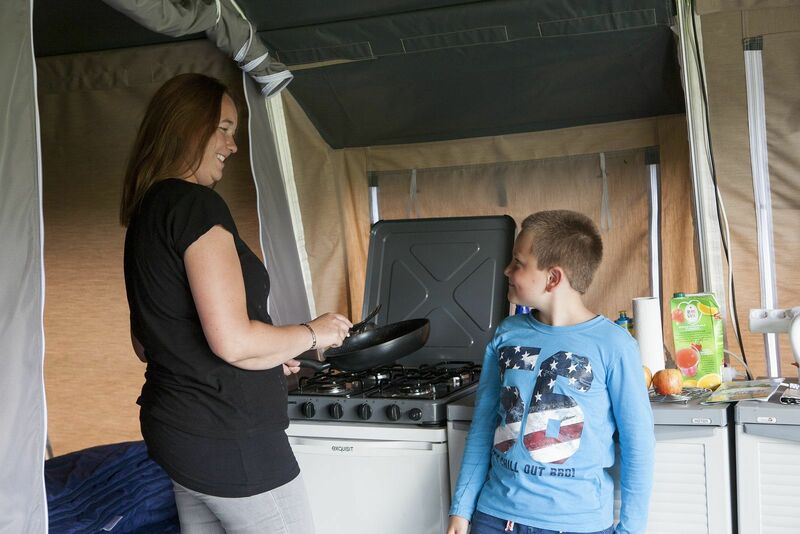 You'll sleep in great beds, you can fry an egg in your own kitchen in the morning and while the children are playing, you can keep an eye on them from the veranda and enjoy your well-deserved relaxation at the same time. 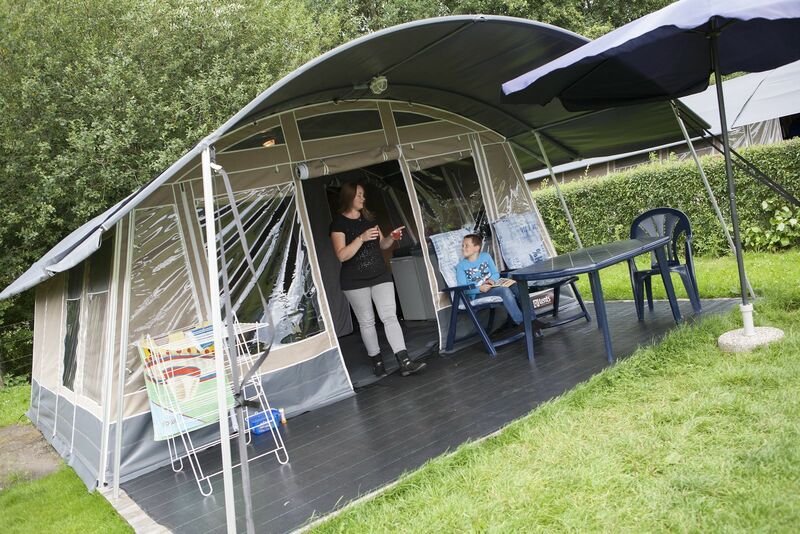 The 4-person Lodge tent is very suitable for a weekend getaway or a whole week of vacation. 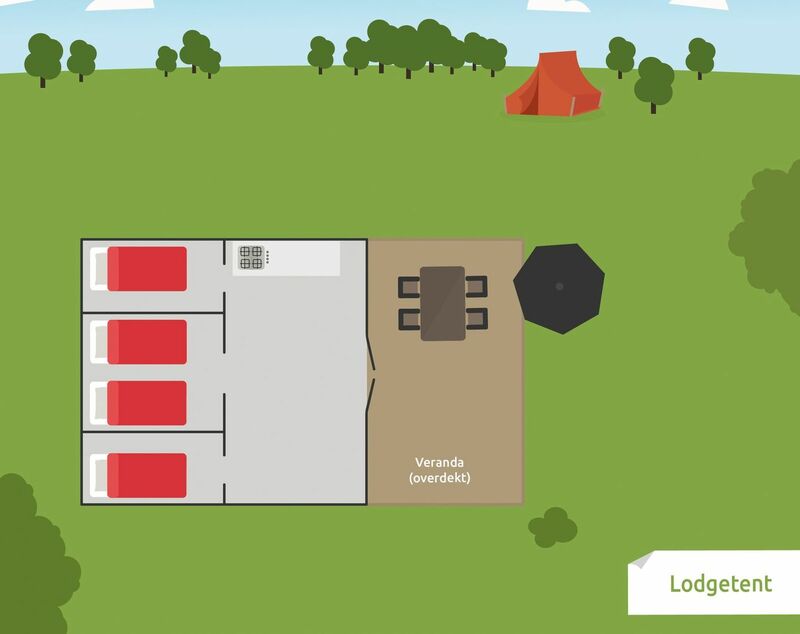 There's room for 4 people in 3 sleeping cabins: two sleeping cabins with a single bed and a sleeping cabin with two single beds. You can put your clothes nicely in the wardrobe. 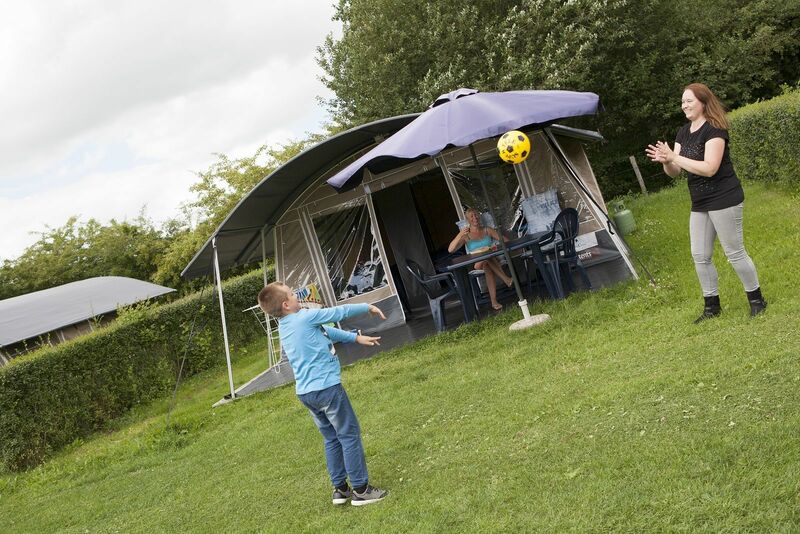 The Lodge tents are located on the Geitenveld. This camping field is car-free; very safe for your children. You'll also find playground equipment on the camping field. This way the children can play and you can enjoy your well-deserved rest. The Geitenveld is the closest to the luxury sanitary building with children's sanitary! 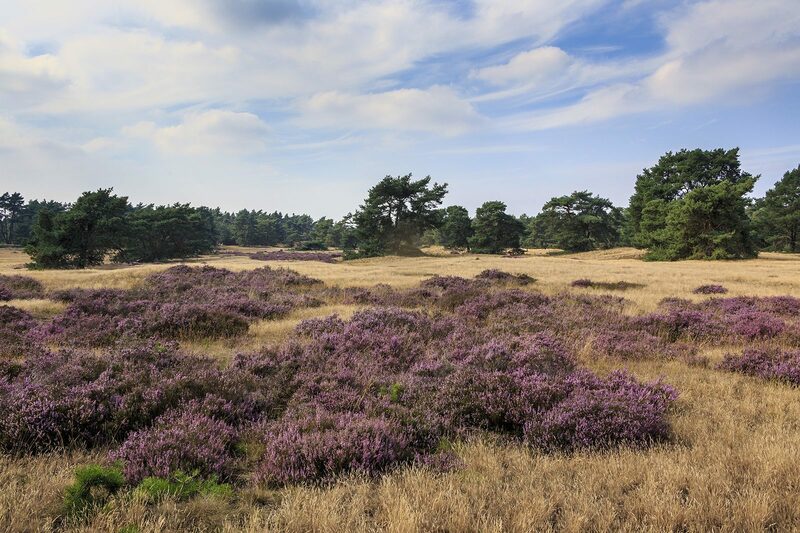 The Klauterhoeve is also nearby: our largest playground, where your children can enjoy adventure and discover all kinds of interesting things. Do you enjoy sports? The large sports field is nearby! During your holiday you can get rid of your energy on our tennis court, football field, panna cage or even at our interactive football wall! 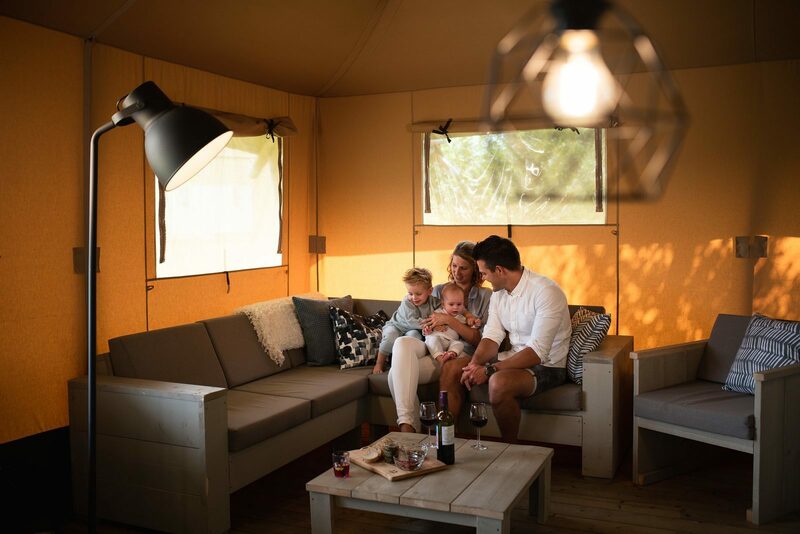 Our Lodge tents are available during our camping season from approx. March to October. October 2018 - Arkadiusz C.
July 2018 - S B.
July 2018 - Odaccar B.